Robert Ryan is Chair of the Professional Liability group and Co-Chair of the Trial Practice group at Connell Foley. 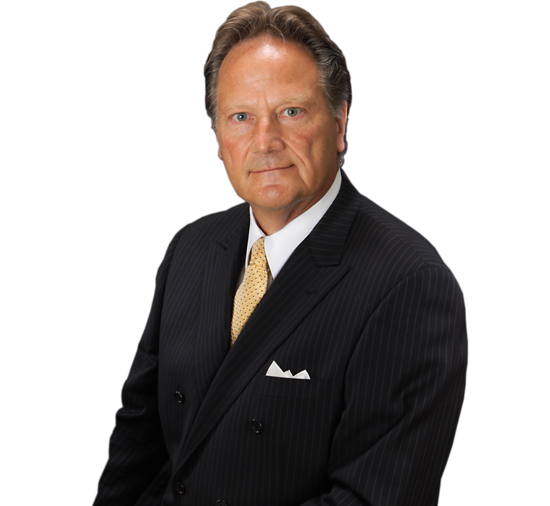 A six-time Certified Civil Trial Attorney as certified by the Supreme Court of New Jersey, Bob has dedicated his professional practice for over 35 years to the litigation and trial of substantial matters. Bob’s practice places particular emphasis on the representation of attorneys, architects and engineers in major professional malpractice litigation. In this regard, Bob has served as lead counsel in the representation of state, regional, national and international professional firms in significant litigation matters venued in both the state and federal courts. In the legal malpractice arena, Bob has had the privilege of representing many of the nation’s and region’s most prestigious law firms — including several firms in the Am Law 100 — in litigation actions sounding in professional liability, breach of contract and breach of fiduciary duty. Bob’s extensive experience in the representation of attorneys and law firms in a wide range of disciplines, including commercial and business law, litigation, tort law, product liability, environmental law, real estate law, taxation, bankruptcy, matrimonial law, and financial and business transactions, has allowed Bob to develop a deep understanding of the unique issues confronted by attorneys faced with substantial claims of professional fault, including claims inculpating the Rules of Professional Conduct. With respect to his representation of architects and engineers, Bob’s knowledge of the complexities of significant construction and design malpractice claims is reflected in his successful representation of some of the nation’s finest architectural and engineering firms in pre-litigation and litigation matters venued in the state and federal courts as well as in alternative dispute resolution forums. On this front, Bob has represented architects and engineers on claims arising from a wide range of public and private projects, including projects involving New York and New Jersey bridges, cultural centers, office structures, wastewater treatment plants, parking garages, condominium and office complexes, and major roadways. Beyond the professional liability arena, Bob is a seasoned trial attorney, having litigated and tried a wide variety of substantial and complex matters, including medical malpractice, general liability, product liability, catastrophic construction accidents, wrongful death, design and construction-related property damage and economic loss actions, declaratory judgments and environmental law matters in the state and federal courts. As Co-Chair of the firm’s Trial Practice Group, Bob “knows where the Courthouse is” and is available to serve as trial counsel in significant litigation matters in both a commercial and non-commercial setting. Congratulations to Connell Foley Partner, Robert E. Ryan on being selected to the 2013 Irish Legal 100 by the Irish Voice Newspaper.